or to be pressed into gorse for a thousand hours? I have procrastinated with aplomb. What’s the point of joining a book club? Wouldn’t you be better spending your time writing a book? What’s the point of talking, when you could be reading? I invented an idea that’s new to me. The Rick O’Shea Bookclub is online. There are lots of face-to-face book clubs. In the whole of human history, there has never been a social audio book club. I’m staying indoors as much as I can. This morning, I’ve been to Doctor Dara Byrne. There is nothing to do for my health except keep hydrated. If my phlegm turns from yellow to green, I now have a prescription for an antibiotic, Amoxicillin. Recording audio keeps me going and seems to release some energy from a repository within. The most satisfying work I’ve done recently is this INTERVIEW with my friend Ray Renati in Palo Alto, near San Francisco, California, USA. 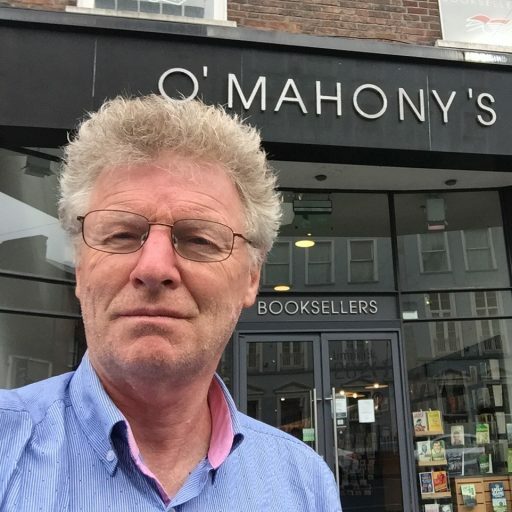 First of a series of interviews with some of the most engaging people whom Paul O’Mahony, poet, knows. Ray Renati is a professional actor, theatre director, podcaster, photographer, comedian, singer, father, dog-walker and more. He lives in California, USA. Paul & Ray met on social audio on the App Anchor, about three years ago. Why do you do the work that you do? Why do you attract the people you attract? Why are you so committed to the causes your espouse? Why are you such a spiritual guy? Why are you so keen to leave a legacy? What question would you like to ask Paul O’Mahony? I’d prefer you to see a pretty audio player – though the sound quality is pure raw. Here’s the best I can give you – because this is a WordPress.com site. If only this was a WordPress.org site … things would look different & sound the same. But – maybe your look would change the sound you hear?